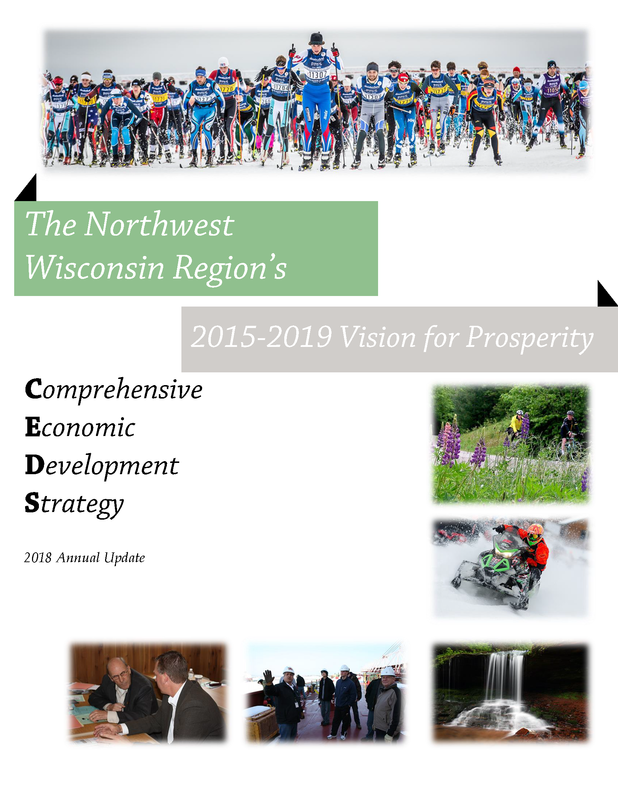 The Northwest Regional Planning Commission has prepared the Final Draft of the 2018 Annual Update: Northwest Wisconsin Region's "Vision for Prosperity" Comprehensive Economic Development Strategy (CEDS). In 1973, the Economic Development Administration of the U.S. Department of Commerce designated the NWRPC as an Economic Development District (EDD). As a result, a Comprehensive Economic Development Strategy (CEDS) is prepared to guide the economic growth of the District. In 2018, NWRPC prepared an annual update to the five-year CEDS. The document provides an analysis of local conditions; identifies the problems, needs, and opportunities of the district; defines the vision, goals, and objectives of the district; and designates and coordinates strategies and/or activities to accomplish and implement its goals. The annual update includes 2018 accomplishments toward reaching goals and an updated regional project list. Formal public comments on the final draft of the CEDS can be made from September 24th through October 29th, 2018. To request a hard copy, you may contact Crystal Rohde, who is taking all public comments on the document at 715-635-2197 or email. Any public comments received will be incorporated into the final strategy to be adopted by the NWRPC Executive Committee at the October 31st, 2018 meeting.